A neat gift idea for a gardener, or just about anybody who likes to watch birds fluttering about outside their windows (which is everybody, right?). The acrylic front panel is laser engraved with whatever you want – name, company logo or design (must be b&w), poem, Bible verse, quote, etc. Engraving is included in the price. 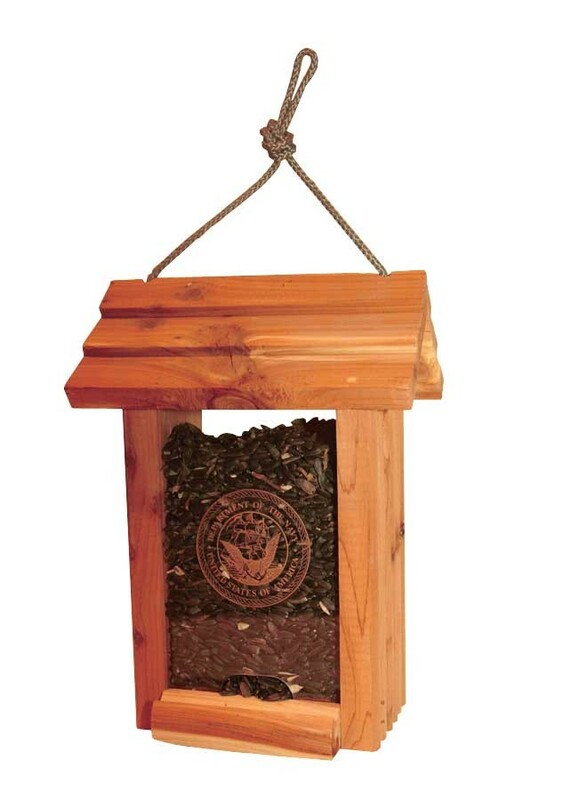 Made from Cedar wood, this bird feeder is a unique Christmas gift idea for this holiday season! Available from Northwest Gifts. Only $29.95, including personalization and your first bag of bird seed. Oh yeah, and please find the Northwest Gifts Facebook page here or in the sidebar and become a fan! Thanks!